Want to truly change your life? When it comes down to it, there’s only one way to creating lasting life improvements. You must change your inner programming. You can’t simply make changes in your outer world – changing cities, partners, jobs. You must make changes in your inner programming: your beliefs, most common thoughts, perspectives on the past, feelings about situations and people. If you don’t changing your inner programming you’re likely to see re-runs of your problems re-playing constantly in your life.. 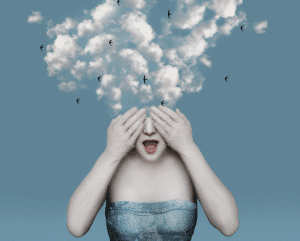 In fact, trying to only make changes in your outer world is like wiping the image on a TV screen. You can’t expect to remove the TV’s images by merely wiping the outer screen. In order to change the TV’s image, you must change the TV’s programming. 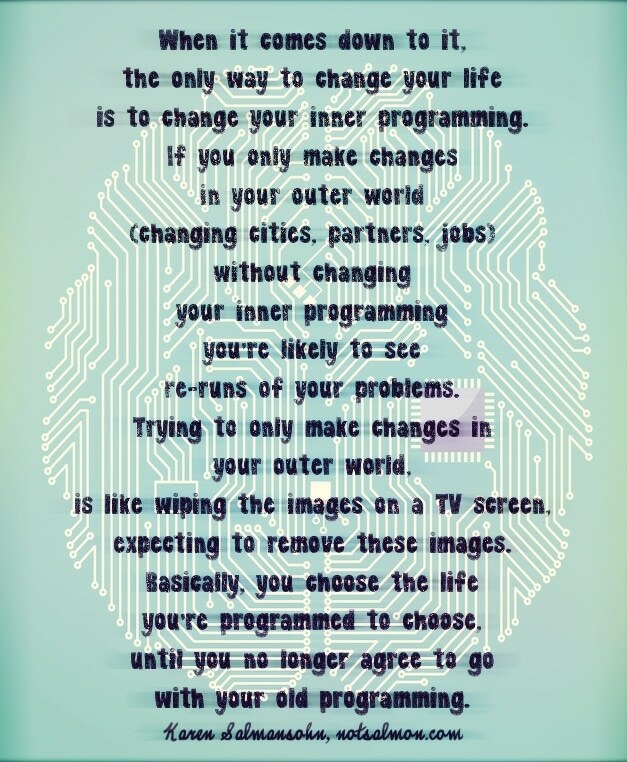 Basically, you choose the life you’re programmed to choose – until you no longer agree to go with your old programming. Want to make sure you remember these empowering words? No problem! Here’s a convenient poster to keep with this reminder on it. Print it out – forward it to someone you love -or use it as a screen saver. Previous Post What memories are made of… Next Post Happy Chooseday!